I used to love watching Rod Serling’s The Twilight Zone. Serling would begin the episode with, “You unlock this door with the key of imagination. Beyond it is another dimension…” Serling would then introduce the episode. I want us to unlock a door with the key of our imagination. What I’m about to share with you seems humanly impossible, because it is. Imagine a father and a son. 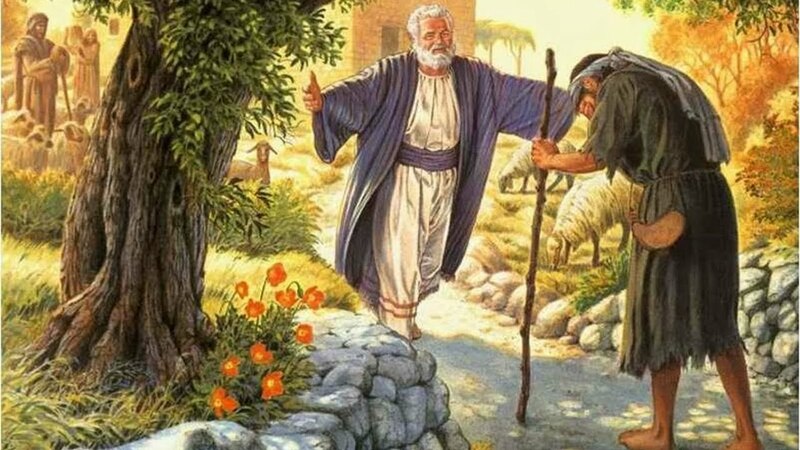 No matter how badly the son violates his father’s rules, when his son returns to his father with a contrite heart and confesses his guilt, his father forgives his son. More unbelievable is that even though his son has to suffer the consequences of his offense, his father does not punish the son. I know; it’s ridiculous. How is the son ever going to learn to stop violating his father’s rules and break this maddening cycle of transgression? It’s obvious the father loves the son, but how much does the son love the father? The answer to the latter question is the key to open the door of our imagination. If you haven’t figured it out by now, this is not about some alien life form from another dimension out in the twilight zone. It’s about me. It’s about you. We don’t understand grace, and when we think we do, we usually cheapen it. Grace divine is unmerited favor, available to the sinner for salvation and the redeemed for victorious living. It is not a license to sin. The ridiculousness of God’s grace is imagined from our human minds. What father in his right mind would not punish his son for breaking his rules? What consequences could the son possibly experience without the fear of punishment? The problem for me and possibly you is that we do not love the Father as He deserves and desires. As often is the case in our human relationships, we take our Father’s love for granted. The great tragedy in this is we fail to understand God’s will for our lives. When we allow ourselves to be filled with heavenly wisdom and spiritual understanding, God’s grace no longer seem ridiculous to us. Furthermore, because of our knowledge of His will, our love for Jesus grows and develops us in our spiritual maturity.